In a lot of ways, yoga sounds like a miracle drug: It can help you feel sexier,focus at work, and even relieve some icky menstrual issues. And now recent research published in the American Journal of Lifestyle Medicine finds that practicing yoga may be associated with weight loss or maintenance. Researchers reviewed previous studies about yoga and weight loss to learn more about the relationship between the two. 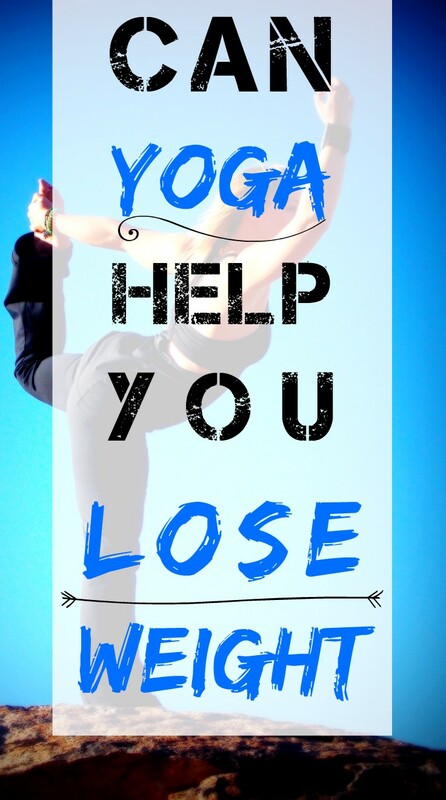 In the study, they point out ways in which yoga may be helpful if you're trying to shed pounds. For one thing, practicing yoga ups your energy expenditure (i.e., calorie burn). Not to the extent of heavy-duty cardio like running, but it still gets you moving. It also offers pain relief (which might make it possible for people to do other types of exercise) and promotes mindfulness and relaxation (which might help you steer clear of overeating and emotional eating). "Yes, and actually it's become in vogue with a lot of celebrities like Madonna, Halle Berry and Jennifer Aniston. Yoga is a sophisticated tradition with physical, relaxation and breathing exercises. [But] aerobic exercise is what helps you lose weight. "If someone wants to lose weight in yoga class, they are going to have to be in a class that challenges them. They have to make sure that their heart is going to beat faster. "There's all different levels of yoga. There is yoga that's meant for the mind, and there's power yoga that's more of an exercise. You've got to be sure that you're doing something more than just a mind experience with relaxing stretches, if you want to lose weight." "In theory it can. Yoga is not a high intensity exercise, usually, but the classes run 75 to 90 minutes of continual activity, so your muscles are working the whole time, strengthening and lengthening, and [doing] core work through chaturanga and balance poses. "As with any activity program for weight loss, you should engage in this activity 4 to 5 times a week to see body changes with shaping, as well as keep a portion-controlled balanced diet. Then, yes, your metabolism will be raised through the activity and you can see body shaping changes and even weight loss." "The short answer is, there's no short answer. Yoga is too diverse for that. "Experts agree that increasing your physical activity level is a good first step towards losing weight. So, with that in mind, it is important to choose the right style of yoga. "If your goal is weight loss, choosing one of the vigorous, flowing styles of yoga, such as Ashtanga, Vinyasa or Power Yoga, is the smart choice. These classes traditionally last 90 minutes, and can most definitely have a cardiovascular benefit. You will burn calories, tone and stretch your muscles, and provide weight bearing exercise for your bones with these forms of yoga." "The second, more subtle factor, is yoga's ability to foster an inward focus , making you more aware of how your body feels in all of your daily activities. That self-awareness can cause a shift in the way you think about how you treat your body in other ways, such as eating when you are hungry, rather than because it is your normal time to eat, and choosing to stop eating when you are satisfied, rather than over full." "Yoga facilitates weight loss in several ways and, when combined with evidence-based nutritional guidance, can be highly effective. "Yoga is an ancient spiritual science developed in India over five millennia ago. While yoga is often thought of as the physical practice, the full practice includes all aspects of lifestyle including diet, mental attitude, choices about one's lifestyle and philosophical study. "The practice of yoga turns attention inward, as the practitioner observes her- or himself with an attitude of compassion. As the practitioner gains skill, a sense of physical, psychological and emotional realities often shift, becoming less influenced by the external forces of modern culture and more anchored in an internal value system.